1. Cook pasta in salted boiling water. While the pasta is cooking, mix together the tomatoes, garlic, basil, evoo & salt. 2. 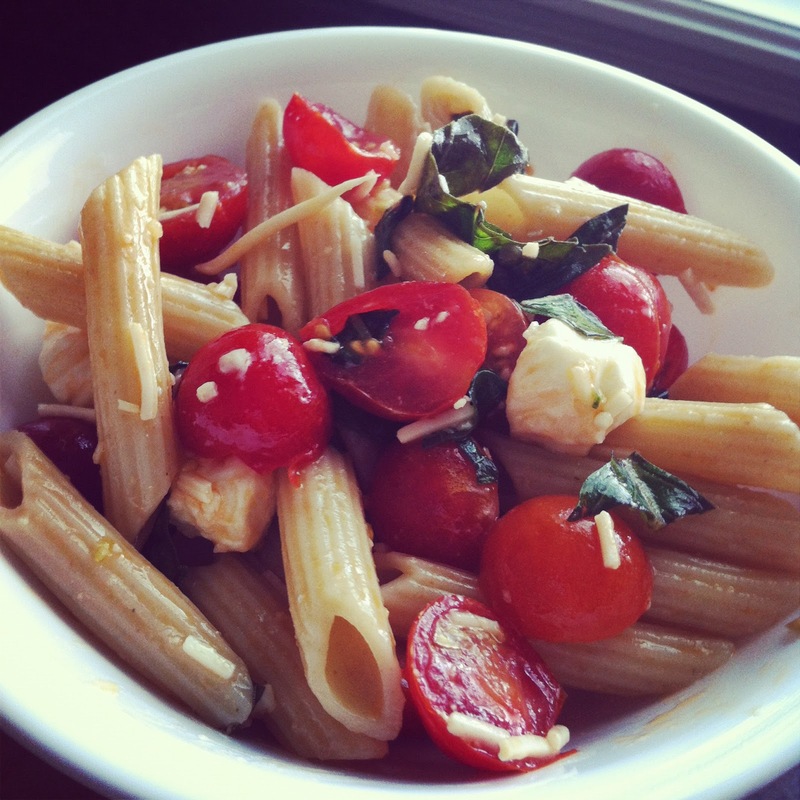 Drain pasta and toss with tomato mixture. 3. Add parmesan & mozzarella and toss again. Serve immediately or refrigerate for later.